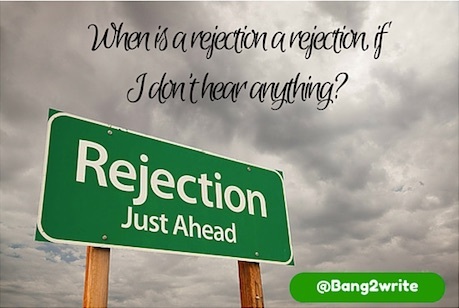 When Is A Rejection A Rejection If I Don’t Hear Anything? I’m new to the scriptwriting business and I was wondering whether you could give me some advice. Last April I sent a script to a production company. They replied back positively in May, asking for a series treatment, character biographies etc. Since June, I haven’t heard anything back from them. From your experience, how long does it take for production companies to reply back and do you think I should ask them for an update, or by asking them would I be jeopardising my chances? First off, I’m happy to offer my experiences – but they’re obviously just mine. Others will have different outlooks and opinions, even of the same prodcos and people I’ve dealt with. Secondly, I think only stalking producers, sending them a dozen dead roses and killing their pets, friends and family jeopardises a writer’s chances. Asking for updates (as long as it’s not a barrage, but a politely worded email or phone call) is not unreasonable. It should never cause a decent prodco to chuck you in the rejection pile. If it does, you’re probably better off without them! If it’s a VERY big prodco, agent or publisher, very often it takes a LONG time to hear back. Four to six months seems average. The BBC have taken anything up to 8 months with me, as have ITV and Granada. With one company, I waited a whole year only to be told in no uncertain terms to get lost: damn! Middle-sized companies may take less time. This can be good OR bad. One prodco asked me to write some pitches and responded favourably … Then they talked to me on the phone for a WHOLE HOUR, asked me to call back on the Friday. No problem, except they then dodged my call and never spoke to me again. That was really annoying. I’d have rather had radio silence before I did all that work! Oh, well. Small companies I’ve found either respond IMMEDIATELY (literally within days) or never speak to you. Basically – C’est la vie! Sometimes, you don’t hear back because the person you were dealing with has moved on or been fired. That can also be annoying, ‘cos the replacement does not always want to follow up what their predeccessor was doing. Some even make a point of starting with a completely new list of potential projects. When this happens, a politely worded query will tell you what you want to know. I find usually they will often reply in a very polite manner wishing you ‘all the best for your future’ or similar. In other words, get lost. Other times, unexpected things happen. I had a great meeting with a producer once. He followed it up with several emails, really enthusiastic … Then complete radio silence. I was miffed but moved on … Only to hear about a month after that! He said he had been REALLY ILL, but was okay now. Could we pick up where we left off? Okay! Also, very early in my career I was talking to an agent who seemed to love my work. Abruptly, he disappeared off the face of the planet. It was only a couple of years ago I discovered the poor man had actually DIED very suddenly. Yikes. So try not worry about getting radio silence. It happens. It shouldn’t, but it’s a lot easier to say nothing than NO. Sadly, too many writers have made epic nuisances of themselves over the years when they get rejected. Harsh but true. Only worry if you get CONSISTENT radio silence (ie. no one ever replies and you never hear ANYTHING). That means you probably need to do something about your querying/writing. For help on this, CLICK HERE. Also, don’t worry about following up the progress of your submissions. It is your right to do this. I find phone calls work better than emails. Write a phone script if you feel nervous. Chances are someone’s assistant will just take a message anyway (remember to leave your email address or phone number so they can get back to you). If no one gets back to you, there’s your answer. I wouldn’t phone more than twice and I wouldn’t email more than about twice either. I usually phone once and email once and then let it go. Having said that, some of my best opportunities have come from NOT letting it go for one reason or another – but just don’t bombard them with demands! Leave plenty of time between communications, else you run the risk of said person opening their inbox and going, “Them AGAIN!” Not good. I find they will often say yes. That doesn’t mean they’ll take the next send of course, but you’re building up a profile in their head. This IS good, because you are creating a relationship! 5 Responses to When Is A Rejection A Rejection If I Don’t Hear Anything? That is one hell of a useful bunch of information there. In fact, I’ve printed it out and stapled it to the back of my copy of Adrian Mead’s Making it as a Scriptwriter. Delays in hearing from production companies are caused by bottlenecks in the system. 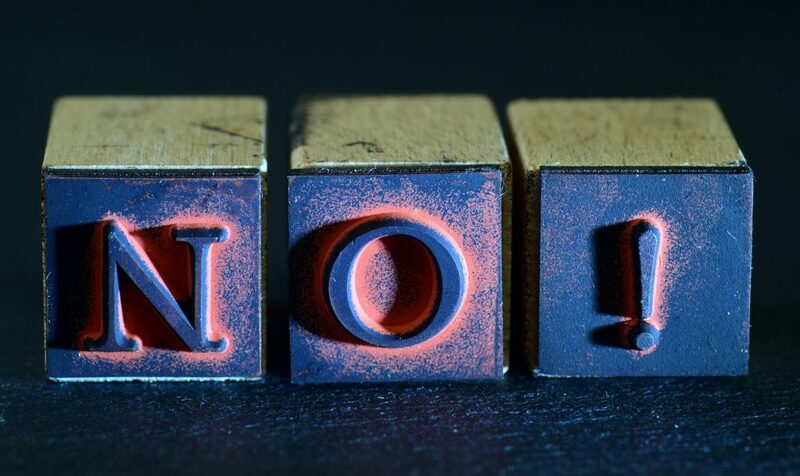 It is, by and large, easier to say ‘No’ than to say ‘Yes’, but no one really likes saying ‘No’ to an eager writer, so they try to avoid it. That’s one reason why you might not hear anything. But another reason is because a new decision-making level has been reached, and whoever has the power of saying ‘Yea’ or ‘Nay’ is dragging his or her heels. It happens all the time. You, as the writer, have an absolute right to know what’s happening with your project. As a rule of thumb, if the company’s excited and running with it, you’ll hear pretty soon. If it’s dead in the water, you’ll just have to wait until someone plucks up the courage to tell you so. But it is worth giving your contact a nudge. It could well be that your project has gone forward to Mr or Ms High-And-Mighty, who is trying to avoid taking a decision. The bad news is that S/He Who Holds The Power does not like to be rushed. They avoid making decisions because (as they see it) it’s their head on the block. In reality, it’s their ego. If they make the right decision, they get endless glory. If they make the wrong one they look like a fool. If you apply any pressure they are liable, out of frustration or pique, to reject your project out of hand. But, when all’s said and done, it’s better to know than to be kept waiting indefinitely. Any company which keeps you hanging on like that is doing you a major disservice. It’s possible that Mr or Ms Big is trying to sell your project to the Higher Powers. Fine – then your contact at the production company can tell you that everything’s in hand. But if Mr/Ms Big is simply stalling, you have a right to get an answer within a reasonable time. Speak to your contact every couple of weeks. If you get the feeling that nobody’s actually doing anything with your project, move on. Here’s where you may start applying knowledge of social dynamics to networking and getting yourself out there. I developed something with a BBC drama producer who sent the script over to the channel controller and was promised a response in two weeks.